(ANSA) - Cairo, January 30 - Researchers from the Archaeo-Physics department of the Turin Polytechnic have been authorized by the Egyptian government almost a year after they made the request to conduct geo-radar studies inside Tutankhamen's tomb in Luxor's Valley of the Kings. The Polytechnic noted that, according to a theory by the British Egyptologist Nicholas Reeves, the burial place of the pharaoh - known especially for the funerary treasure buried with him including a mask that has gained iconic status - could be part of a larger tomb possibly belonging to Nefertiti, an Egyptian queen whose semblance is preserved in a bust exhibited in Berlin. Measurements will be taken from January 31 to February 6 to "determine whether there are empty spaces and/or halls hidden behind the walls of Tutankhamen's funerary chamber", which the specialist refer to using the code KV62. The coordinator of the research group, Franco Porcelli, said that advanced radar systems would be used to find out with 99% accuracy whether "hidden structures of archaeological importance are next to Tutankhamen's tomb". The measurements will be then be looked at alongside the presence of suspected cavities in the rock face a few meters from KV6, a cavity that "were found by the research group in May of last year using a different, non-invasive technique outside Tutankhamen's tomb, based on the three-dimensional mapping of electrical resistance levels of the underground". 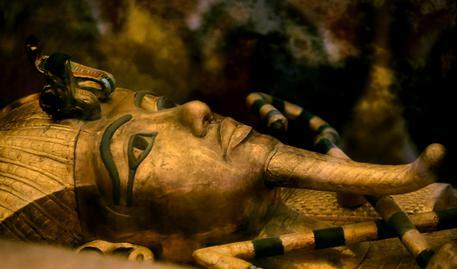 However, the geo-radar measurements that will be taken in February will show whether the suspected cavities are connected with KV62, the statement noted. The team of experts belongs to two departments of the Piedmont region state polytechnic: the Applied Sciences and Technology Department and the Environmental, Territorial and Infrastructure Engineering Department, in "collaboration with personnel from the University of Turin's Earth Sciences Department". The collaboration also includes two Italian private companies: Turin-based 3DGeoimaging and Livorno-headquartered Geostudi Astier, as well as the UK's Terravision and - as Egyptology consultant - the Italian Archaeological Center of Cairo. Experts from the Egyptian Ministry of Antiquities will also be helping out under former minister Mamdouh Eldamaty. 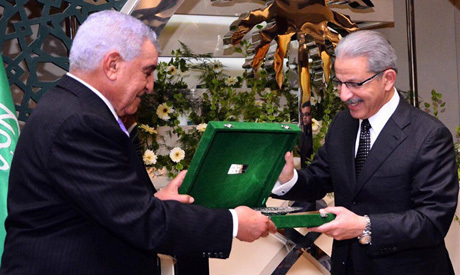 During a reception held at the Saudi Arabian embassy in Cairo, Saudi Ambassador Ahmed Kattan bestowed upon Egyptian Egyptologist Zahi Hawass the Riyadh Nile award for his devotion and passion for archaeology and excavation. Hawass recently delivered a lecture in Saudi Arabia on archaeology and recent discoveries in several parts of the kingdom. Hawass also spoke about ancient Egyptian amulets found in Al-Faw city near Riyadh and a cartouche of King Ramses III, who was the first Egyptian king to send trade missions to what is now Saudi Arabia. 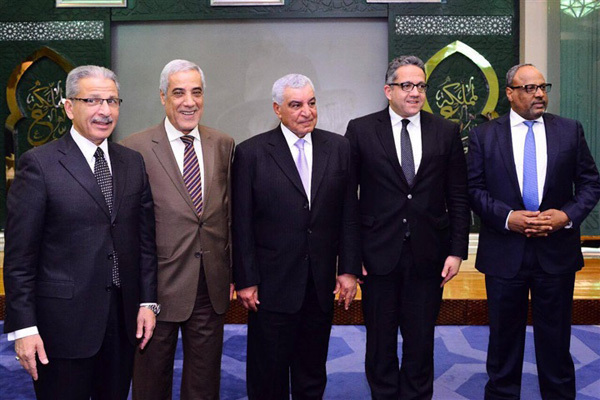 The ceremony was attended by Egyptian Minister of Antiquities Khaled El-Enany as well as a number of foreign ambassadors to Egypt. Senwosret III (1878-1840 BCE), also known as Senusert III, Sesostris III) was the 5th king of the 12th Dynasty of the Middle Kingdom of Egypt. His reign is often considered the height of the Middle Kingdom, which in turn has been called the Golden Age in Egypt's history, when art, literature, architecture, science, and other facets of Egyptian culture reached an unprecedented level of refinement, the economy flourished, and military and trade expeditions filled the nation's treasuries. But what do we know of the administrative officials who served under Senwosret III? This presentation introduces some of the highest-ranking officials, viziers, treasurers, and chief stewards, who probably played vital roles in the successful reign of Senwosret III. The lecture incorporates results from the speaker's fieldwork at Abydos and Dahshur. Dr. Yamamoto is a research specialist at the University of Arizona. 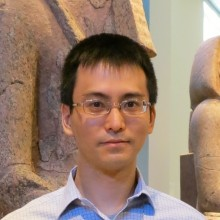 He received his doctorate in Egyptology at the University of Toronto and previously worked at the Metropolitan Museum of Art in New York, where he co-curated a major special exhibition on the Middle Kingdom period. Since 2001, he has engaged in 11 seasons of archaeological fieldwork at several sites in Egypt: Abydos, Tell Tebilla, and Dahshur. Don't shoot the messenger. I didn't write this headline. Ramses II, also known as Ramses the Great, was Pharaoh of Egypt from 1279-1300 and, according to ancient inscriptions, was a great warrior who led Egypt to many successful battles. However, a recent archaeological find suggests that stories of Ramses' battle victories may be little more than elaborate lies. In a study published in Antiquity, scientists in England found 3,300-year-old sickle blades, handstones, querns and cow bones—all forms of ancient farming tools and evidence of cattle rearing—less than five miles away from an Egyptian fort deep in Libyan territory, Phys.org reported. The finding shows that Egyptians farmed far into Libyan territory without the need for military protection, suggesting that the two nations were not at war, but lived peacefully beside each other. In addition, according to lead researcher Nicky Nielsen, an Egyptologist at the University of Manchester in the UK, this evidence shows that not only did Egyptians in Libya territory rely on their neighbors for trade, but also relied on the Libyans' knowledge of their environment to help improve their farming skills. "The type of agriculture practiced in the region around the fort is sustained by very limited rainfall and required in-depth knowledge of hydrological conditions, water storage etc," Nielsen told Newsweek. 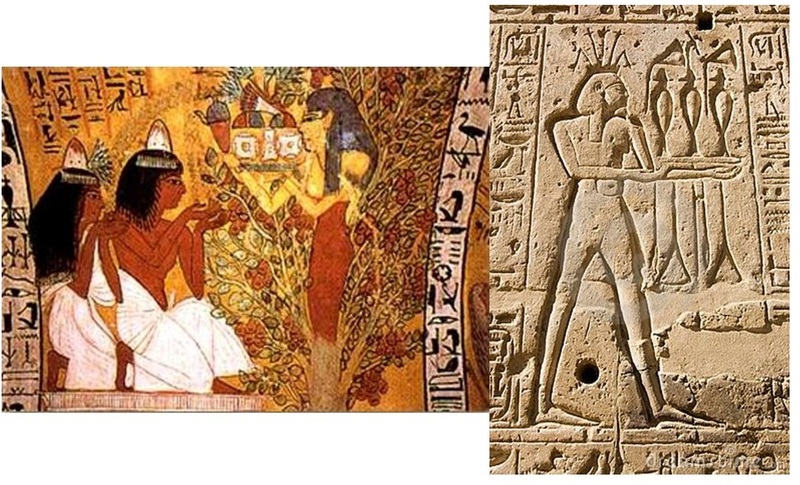 "The Egyptians were used to a far more fertile agricultural system supported by the Nile Inundation. It is difficult to imagine that an Egyptian garrison would be able to set up a functional agricultural system in such an alien environment without local know-how." The evidence points to peace between the two peoples, not constant fierce war and conquering, as the ancient inscriptions would suggest. In fact, the study even goes as far as to say that Ramses the Great purposely spread lies about himself in order to depict an image of reign that was not true. "Ramses was trying to live up to the image of a perfect Egyptian Pharaoh" Nielsen said. "No Pharaoh would ever have admitted defeat publicly—this is why it is very difficult to study Egyptian historical documents as they tend to be very biased." Nielsen explained that Ramses was a young member of a military dynasty, and most Egyptian pharaohs portrayed themselves as warriors. Furthermore, Ramses' father, Seti I, was a successful warrior and Ramses may have felt pressure to live up to his father's greatness. Stories of Ramses' greatness are inscribed in Egyptian monuments, often carved so deeply that it was nearly impossible to remove the etchings, Nielsen explained, according to Phys.org. Ramses ruled Egypt for 69 years, Nielsen said, and sired over 160 children. This meant that his lies of greatness had plenty of time to take root, and his plentiful descendants may have helped to spread and uphold the lies. "Members of the public (at least the soldiers present at Qadesh for instance) would probably have known [about Ramses' lies], and possibly the court would have as well," Nielsen told Newsweek . "But it was simply expected that Pharaoh portrayed himself as a great victor (regardless of whether this was true or not), so I doubt anyone would have seen anything strange in what Ramses did." Ramses ruled thousands of years ago, and there is no denying that he was a great leader, although in ways different than those he chose to depict. What Ramses II may have lacked in military skill he made up in architecture accomplishments. 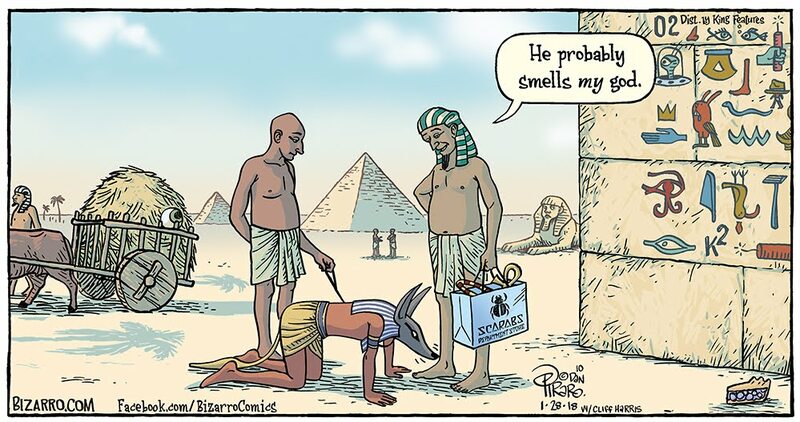 The pharaoh was responsible for the erection of more monuments than any other Egyptian pharaoh, with the most notable being the Ramesseum and the temples of Abu Simbel, Ancient Egypt Online reported. Regardless, according to Nielsen, the new findings have broader implications than simply proving the ancient king had a tendency to inflate his reputation. As he said: "They show that we need to be aware when studying ancient Egypt to not simply take the word of the Egyptian monumental sources, inscriptions and great reliefs." They may have lived more than two millennia ago, but two women—well, mummies—continue to teach us about Egyptian culture. The nearly 3,000-year-old mummies—the two centerpieces of the Denver Museum of Nature and Science's Egyptian Mummies exhibit, which has been a popular fixture at the museum since the early 1990s—used to be known as just the "rich one" and the "poor one," based on the quality of the linens they were wrapped in. But now, thanks to modern technology, we're learning that their histories are much more intriguing. As part of a recent upgrade to the exhibit completed in October 2017, a team of experts led by Michele Koons, the museum's curator of archaeology, harnessed a host of scientific techniques to (figuratively) unwrap the mummies' mysteries. The adventure began in April when the mummies were transported via a midnight ambulance ride to Children's Hospital in Aurora to be CT scanned. The timing, says Koons, was due to scheduling; the scanners were only available in the middle of the night. The ambulance ride was to help ensure safe transport. "Ambulances are built with better shocks than most vehicles," she says. "This is a typical way that mummies travel to hospitals." And despite the late hour, she says, hospital staff were lined wall-to-wall to watch the event. "It was an exciting evening," says Koons. "It felt like the paparazzi when we were rolling the mummies in." The results of the CT scans, as well as other tests, including radiocarbon dating and wood and pigment analyses, have completely changed previous interpretations about the mummies. The tests revealed that the two women actually lived 500 years apart, and the differences in their bodies' preparation, decorations, and wrappings most likely reflect changes in how mummification was practiced during those periods, rather than each woman's socioeconomic status, says Koons. "The radiocarbon dates are what solidified that the old narrative was not the proper one." We now know that the older, "rich" mummy lived about 2,900 years ago, during Egypt's Third Intermediate Period, when the practice of mummification was at its peak. As was the norm for that period, her internal organs were removed, wrapped in linens, and returned to the body so that she had what Koons calls "all of her bits and pieces" with her for the afterlife. Aesthetics seem to have been important during this period; the CT scans revealed that the older mummy has false eyes and hair extensions and that linens soaked in resins were crammed into her throat and mouth to give her a more life-like appearance. She was also buried with jewelry, including what appear to be a limestone heart amulet as well as small wax figures accompanying each organ bundle. "Finding the wax figures was pretty exciting," says Koons, "because we didn't have any idea that those were there." The younger mummy, by contrast, lived about 2,400 years ago during the Ptolemaic dynasty, the last of ancient Egypt and a time during which mummification was falling out of favor. 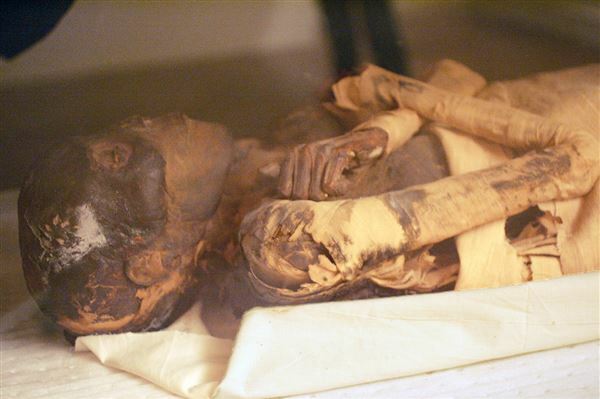 Like the older mummy, the woman was in her 30s when she died, but her body is less well preserved. The organs were not removed, and the CT scans showed only a few objects, including a metal pin, inside far fewer layers of her lower-quality linen wrappings. Analysis of a single eyelash shows that her diet consisted mainly of barley and other crops grown on the fertile Nile soils. "One of the most surprising finds is the mismatch between the mummies and their sarcophagi," says Koons. Analysis of the paint pigments, wood, and hieroglyphs on the older woman's elaborate coffin indicate that it was actually made for a man named Mes about 100 years after she died, whereas the 2,400-year-old mummy's sarcophagus was constructed about 600 years before her death." That's really important and begs more questions as to when they were paired," Koons says. She speculates that whoever sold the mummies to a private collector in the early 20th century swapped the original sarcophagi with those now on display, perhaps to give them more curb appeal—and in the process creating yet another mystery. If you go: The Egyptian Mummies Exhibit is a permanent fixture at the Denver Museum of Nature & Science. Researchers said on Monday the plant-eating Cretaceous Period dinosaur, named Mansourasaurus shahinae, was nearly 33 feet (10 meters) long and weighed 5.5 tons (5,000 kg) and was a member of a group called titanosaurs that included Earth's largest-ever land animals. 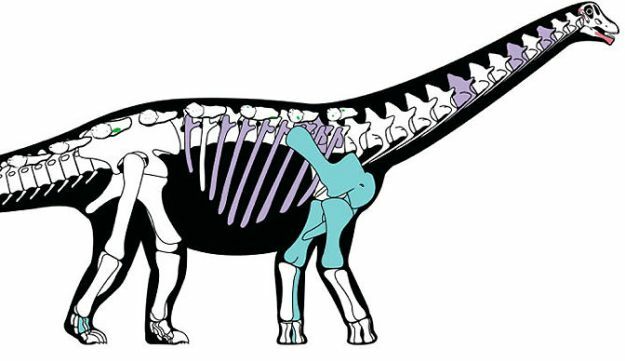 Like many titanosaurs, Mansourasaurus boasted bony plates called osteoderms embedded in its skin. Its remains, found at the Dakhla Oasis in central Egypt, are the most complete of any mainland African land vertebrate during an even larger time span, the roughly 30 million years before the dinosaur mass extinction 66 million years ago, said paleontologist Hesham Sallam of Egypt's Mansoura University, who led the study published in the journal Nature Ecology and Evolution. The scientists recovered parts of its skull, lower jaw, neck and back vertebrae, ribs, shoulder and forelimb, back foot and osteoderms. In the same way, figurative language also presents these "word games" through scenes that contain symbols or double meanings. In addition, in Egyptian language the verb "to smell" (ssn) also means "to breathe", one of the vital faculties that the deceased needs to resuscitate. For instance, he used the image of a balance for the figuration of a goldsmith's workshop, but it was also a motive used in the scene of psychostasia (weighing of souls). Thus, the balance expressed also the idea of final judgment and justice. Therefore, that image, although always accompanied by a text, had a message in itself. The Kelsey Museum is the brainchild of Francis W. Kelsey, Professor  of Latin at the University of Michigan from 1889 to 1927. Kelsey pursued  an active program of collecting antiquities for use in teaching, and  launched the first university-sponsored archaeological excavations in  the Mediterranean and Near Eastern regions in 1924. Most of the  artifacts in the Kelsey Museum come from excavations carried out in  Egypt and Iraq in the 1920s and 1930s. In 1928, shortly after Kelsey's death, the Museum of Classical  Archaeology was installed in Newberry Hall on State Street. It was  renamed in honor of Professor Kelsey in 1953, and enlarged with the  construction of the William Upjohn Exhibit Wing in 2009. In addition to  conserving and exhibiting its collections, the Museum still sponsors field projects in countries around the Mediterranean (although the artifacts recovered  in those excavations now all remain in their countries of origin), and  it plays a vital role in undergraduate and graduate teaching and  research. 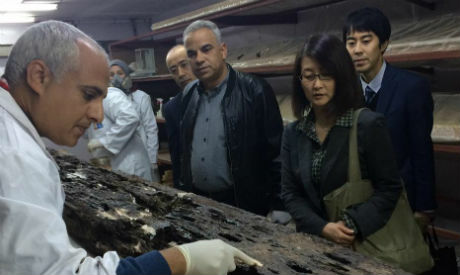 A senior official from the Japan International Cooperation Agency (JICA) took a tour of conservation facilities at the Grand Egyptian Museum (GEM) on Sunday afternoon, observing restoration work being conducted on King Khufu's second solar boat. 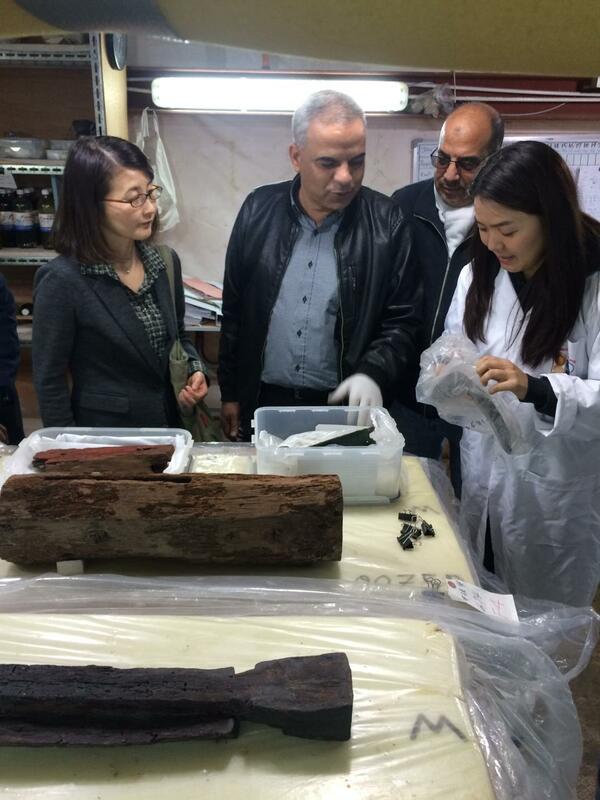 Miyahara Chie, the deputy director-general of JICA's Middle East and Europe Department, visited the GEM's conservation laboratories and was updated on work to restore the ancient wooden boat, a project that is partly funded by the Japanese government. Eissa Zidan, supervisor-general of boat restoration work, told Ahram Online that Chie was very enthusiastic about the restoration project and hopes to see the craft reassembled and put on display at the GEM soon. Two boats belonging to Pharaoh Khufu were discovered inside two pits in 1954 as Egyptian archaeologists Kamal El-Mallakh and Zaki Nour were carrying out routine cleaning on the southern side of the Great Pyramid of Giza. After its initial discovery, the first boat was removed piece by piece under the supervision of restoration expert Ahmed Youssef, who spent more than 20 years restoring and reassembling it. The boat is now on display at Khufu's Solar Boat Museum on the Giza Plateau. The second boat remained sealed in the neighbouring pit until 1987 when it was examined by the American National Geographic Society in association with the Egyptian Office for Historical Monuments. In 2009, a Japanese scientific and archaeological team from Waseda University headed by Sakuji Yoshimura offered to remove the boat from the pit, restore and reassemble it, and put it on show to the public. The launch of the project involved a $10 million grant from the Japanese government. close-up of one of two mummies on display for the exhibit in 2008. A close-up of one of two mummies on display for the exhibit in 2008. With the Toledo Museum of Art's two ancient Egyptian mummies going back on public display next weekend, professors, egyptologists, and museum experts will attempt to answer a basic question: Why has western civilization maintained a fascination with ancient Egypt — a phenomenon called Egyptomania? The Mummies: From Egypt to Toledo exhibition opens Saturday and includes not just the two mummified humans brought to Toledo in 1906 by museum founders Florence and Edward Drummond Libbey but more than 90 artifacts or pieces, a film series, and discussions about the appeal of ancient Egypt. When: Feb. 3 to May 6. • 6 p.m. March 29, Peristyle, Masters Series Lecture, Bob Brier, "Egyptomania: Our Three Thousand Year Obsession with the Land of the Pharaohs"
• 6 p.m., April 19, Peristyle, Salima Ikram, "May They Live Forever: Ancient Egyptian Mummies"
"There is a lot that Egypt has going for it that other civilizations of the ancient world didn't," said Bob Brier, an egyptologist and senior research fellow at Long Island University. "There have always been these waves of Egyptomania, but I think it's always there in the background too because the temples are spectacular, the mummies are there, the art is fabulous. There is just something special about Egypt." Brier, whose research into ancient Egypt over the last four decades and whose work to mummify a modern-day human cadaver in 1994 earned him the nickname "Mr. Mummy," is one of two experts who will visit the museum to talk about that obsession. Part of his massive private collection of Egyptomania memorabilia will also be a part of the exhibition. 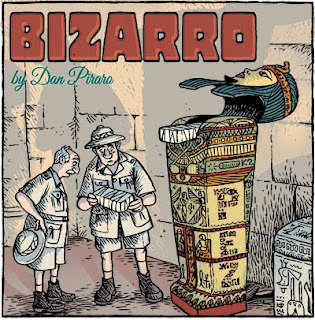 Visitors will view massive Egyptian-themed posters that informed the public about levitating mummies and other magic sensations in the early 20th century and sheet music that glorified the 1922 discovery by Howard Carter of Tutankhamun's nearly intact tomb (and inaccurately portrayed King Tut as an old man). The movie trailer from the 1932 film The Mummy with Boris Karloff will loop, and visitors can watch a full-length mummy film at 2 p.m. almost every Saturday during the event. Nineteenth-century photos documenting Egyptian culture are a key component of the show. Kitschy objects such as Egyptian magic wrinkle cream, necklaces made of scarab images, and lead pencils in the shape of mummies worn by women in Victorian times help tell the tale of enthrallment. "In the early 20th century, when the Libbeys were in Egypt, although I can't say for certain that the Libbeys were impacted by Egyptomania, I think that it is a reasonable hypothesis that Mrs. Libbey would have seen ads in [Ladies] Home Journal by Palmolive and rejuvenating beauty by using soap associated with ancient Egypt," said Mike Deetsch, director of education and engagement for the museum and co-curator of the show with Adam Levine, museum associate director and curator of ancient art. "Or she would have been exposed to pendants and other jewelry that would have ancient Egypt themes like scarabs, beetles." Significant events such as Carter's discovery of King Tut's tomb, or the 1798 invasion by Napoleon Bonaparte, who brought with him dozens of scientists and researchers to document Egypt's culture, kept bringing fascination with the African country back to the forefront, Brier said. He also attributes Egyptomania to the country's "sophisticated and spectacular" ancient art. But the centerpiece of the exhibition, the partially unwrapped mummy believed to be a young priest who lived close to the time of 800 B.C., and the fully wrapped mummy, a laborer estimated to have lived about 100 A.D., are what anchors us in Egyptian culture, Brier said. "There is no other civilization that I know of that [still] has great temples and the [remains of] people who built them," he said. "I think the reason mummies fascinate people has to do with the desire for immortality. When we look on the face of a mummy, if we knew him 3,000 years ago, we would recognize him. In a way, he really has cheated death, and I think in some ways we are envious of that." During two excursions to Egypt in 1906 and 1924, the Libbeys purchased objects from antiquities dealer Ralph Blanchard, whose shop in the heart of Cairo offered many of the cultural pieces the couple sought. Along with statuettes, earthenware vessels, reliefs, and canopic jars (vessels made to hold the internal organs of the deceased), the Libbeys transported the wrapped mummies back to Toledo in 1906. That winter, they formally opened the Egyptian gallery in the museum's first location on Madison Street. 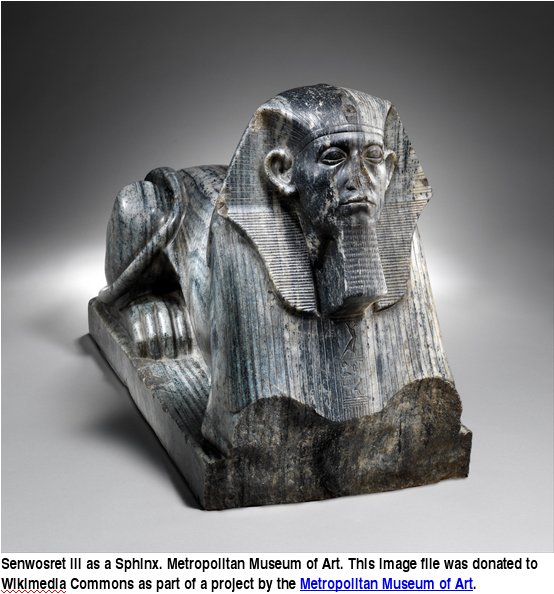 The exhibit featured more than 230 ancient Egyptian pieces, according to an excerpt by curator Elaine Altman Evans from Souvenirs and New Ideas: Traveling and Collecting in Egypt and the Near East. 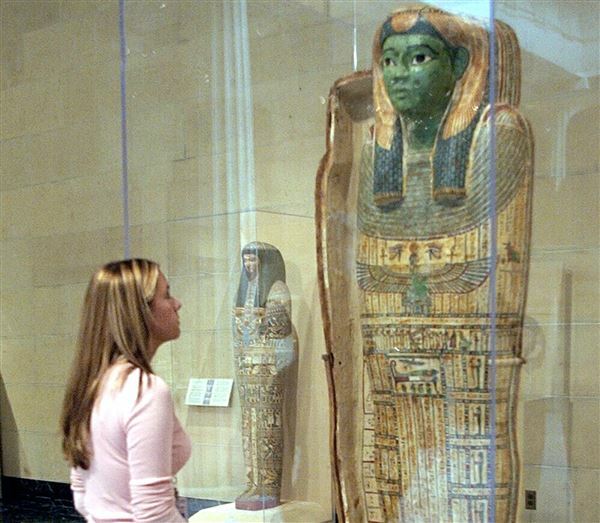 Jessica Buckenmeyer, then a senior from Swanton HS, looks over one of the mummy case displays at the Art Museum. Today, Egyptian and other international laws would make it impossible to export mummified remains and other ancient relics from the country. The mummies remained on display in the museum until 1978, at which time the young priest was taken off display for conservation reasons, according to museum officials. The old man remained on public display until 1997. Since then, the mummies have been back in public view only twice: during the exhibition The Unseen Art of TMA: What's in the Vaults and Why? in 2004 and The Egypt Experience: Secrets of the Tomb from October, 2010, to January, 2012. In the interims, the human remains are stored in specially designed containers in a climate-controlled room, Deetsch said. When the Libbeys purchased Toledo's mummies in the early 20th century, a curiosity surrounded them. An excerpt from Edward Drummond Libbey: American Glassmaker by Quentin Skrabec, Jr., references Libbey and then-museum director George Stevens searching for treasure on one of the mummies, which they reportedly named Willy, and dancing with it around the gallery when the mummies first arrived in Toledo. In contemporary society, such an act might be seen as ethically questionable, and the inclusion of human remains in a museum exhibition remains controversial. The cadaver Brier mummified more than 20 years ago, which resulted in the National Geographic special Mr. Mummy, is currently part of a traveling exhibition, Mummies of the World. "I don't think there is anything wrong with displaying human remains in museums as long as it's done tastefully and you are not doing it in any sensationalist way," he said. "This is part of an ancient civilization's heritage. Almost all of us who work with mummies would agree that it's absolutely fine to have them on display in museums as long as it's done properly." For this exhibition, the mummified humans will be the last stop in the quest to understand ancient Egyptian culture, Deetsch said. Museum staffers are asked frequently where the mummies are, and their feedback during the show will be paramount to what the museum does with the old man and young priest in the future, he said. "The mummies will actually be presented by themselves with no other objects and very little text, because at the end of the day we want people to really reflect on what we can learn from the mummies, should an art museum be displaying human remains, and what, frankly, does it really mean," Deetsch said. "One of my thoughts is that because thousands of years separate us from ancient Egyptian culture and there has been all of this cultural iconography for hundreds of years, that we don't see these mummies as human remains anymore. We see them as objects of mystery or objects of curiosity. "The hope is we want people to recognize them as human remains, that these are real people." The Mummies: From Egypt to Toledo closes May 6. Contact Roberta Gedert at rgedert@theblade.com, 419-724-6075, or on Twitter @RoGedert. CAIRO – 28 January 2018: Last time Egypt Today tackled the life of one of the greatest queens, the most beautiful queen on Earth in the Ancient world: Queen Nefertari. The selected queen for today is Queen Merytre-Hatshepsut. Carrying royal noble origins, Queen Merytre-Hatshepsut lived during the 18th Dynasty, the New Kingdom of Ancient Egyptian history.Born of King Thutmose II, her mother Huy was a priestess, according to researcher and author Ismail Hamed. Queen Merytre-Hatshepsut was the wife of King Thutmose III, one of the greatest kings of Ancient Egypt and the one who established the earliest emperor in history. Being King Thutmose's second wife, she carried the title of "Great Royal Wife" after the death of King Thutmose III's royal wife, Queen Satiah, according to "Ancient Egyptian Queens: a hieroglyphic dictionary". Queen Merytre-Hatshepsut gave birth to King Thutmos' successor, King Amenhotep II, who ruled Egypt for 25 years and tried to keep his father's empire. After her death, she was celebrated through many scenes painted in several tombs including her husband's and son's ones, as well as a stela that depicts Merytre-Hatshepsut standing before Thutmose III. 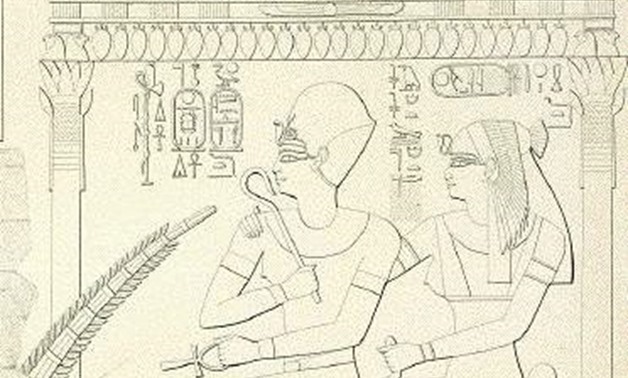 She is shown holding a fly-whisk in one hand and an ankh in the other, according to the "History of Ancient Egypt Encyclopedia". CAIRO – 23 January 2018: The Egyptian movie "The Mummy" will screen at Bibliotheca Alexandria's Arts Center on Sunday, March 18, at 7 p.m. followed by a discussion about the movie. 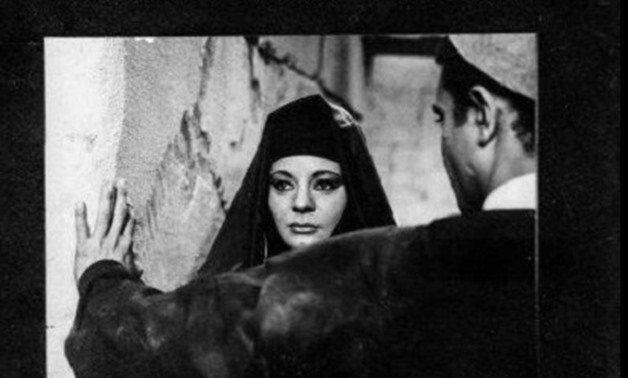 Directed and written by Chadi Abdel Salam in 1969, "The Mummy" is about an Upper-Egyptian clan who robs a cache of mummies and sells it to illicit antiquities black market. It is based on a true story; in 1881,selling the Egyptian antiquities in the black market began to appear in Egypt as members of the ancient Horbat tribe raided Deir al-Bahari, a hiding place of many royal mummies. Consequently, they were put in a conflict with the Egyptian government due to their illegal trade. The film stars a group of well-known Egyptian actors, including Ahmed Marei,Ahmad Hegazi, Zouzou Hamdyel-Hakim and Nadia Lutfi. Egypt's antiquities ministry has launched a project to make archaeological sites and museums more accessible to people with disabilities, starting with improvements to Luxor Museum and the temples of Karnak and Luxor. Sherif Abdel Moneim, supervisor of the ministry's Development of Archaeological Sites department, told Ahram Online that the project will bring improved mobility for those in wheelchairs, as well as making information more accessible to those with impaired sight and hearing. 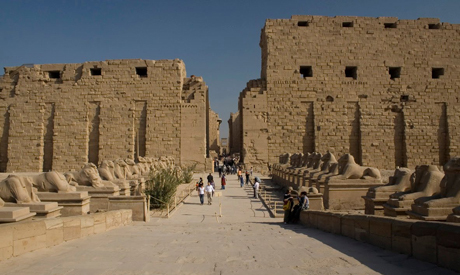 Special paths will be constructed at Karnak and Luxor to facilitate the movement of wheelchairs, while information boards will be put up that are accessible to those with disabilities. A documentary film on display at the visitor center will have sign-language incorporated. The toilets, meanwhile, will be renovated and equipped to suit special-needs visitors, according to international standards. Mustafa Al-Saghir, director-general of Karnak Antiquities, explained a few of the improvements planned for the Karnak Temple site. The podium area and the area between the Teharaka column and the open-air museum will feature ramps measuring 1.5 metres in width, he explained, while a wooden slope will be installed from the start of the Avenue of Sphinxes. The ministry is conducting the project in partnership with an Egyptian NGO called Helm (which translates into English as "Dream") that specialises in promoting the inclusion of people with disabilities in all aspects of life, including access to public premises. Eman Zidan, supervisor of the ministry's Financial Resources Development Department, said that the project to improve accessibility at archaeological sites highlights the role of NGOs in serving the community. The Young Archaeologist School in Egypt seeks to educate young students on the importance of antiquities through different activities and field trips. The Marina el-Alamein archaeological site, located 60 miles from Alexandria, Egypt. Image by Hugo Goodridge/Al-Monitor. CAIRO — Established right in the heart of Marina el-Alamein, one of Egypt's most treasured archaeological sites, a school aims to teach the younger generation the importance of archaeology with both theoretical and practical lessons. The Young Archaeologist School, which targets children ages 6-16, is overseen by the Department of Museum Education and Archaeological Awareness in the archaeological area of Marina. It is one of several programs nationwide targeting young people, such as the Young Guides program. In a country where the smuggling of artifacts is rampant, these programs seek to instill in young people the importance of preserving antiquities, so that they would take a stance against illegal excavations, smuggling, and buying and selling stolen artifacts. The Young Archaeologists School in el-Alamein was launched in July 2016. El-Alamein, situated on the northern coast of Egypt some 60 miles from Alexandria, was a major Greco-Roman town and port known as Leucaspis, which was founded 2,000 years ago. The current site includes the remains of more than 50 structures, including a bath, markets and a basilica. The school offers students fun ways to learn about archaeology by working with models of the historical sites and re-creating the process of mummification. The curriculum includes the archaeological history of Egypt, glimpses of daily life in Pharaonic times and instruction on how to become a tour guide. 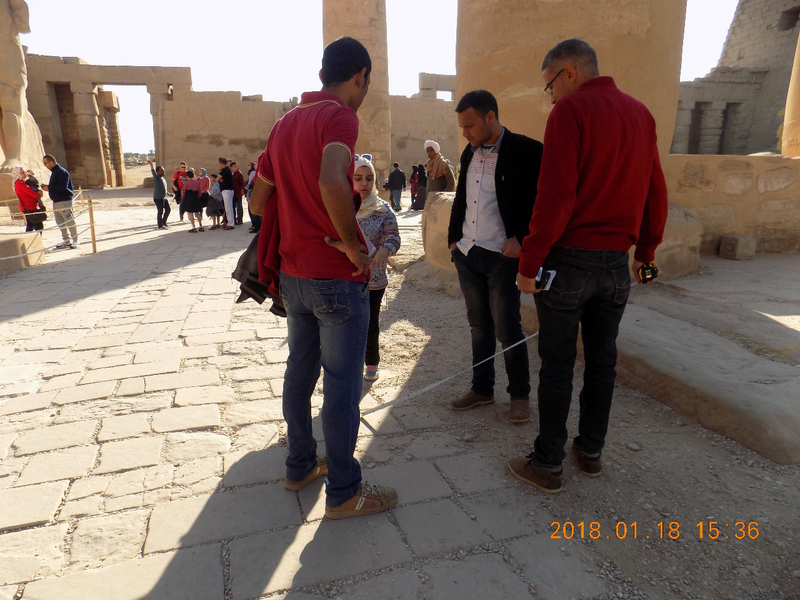 Iman Abdel Khaliq, the head of the Archaeological Awareness Department in the archaeological area of Marina and the founder of the Young Archaeologist School, told Al-Monitor, "After I saw students visit archaeological sites with zero interest or enthusiasm, I decided that school visits to archaeological sites should include activities [to attract the youth], so I started the Young Archaeologist School." Lectures take place in a room of the building that belongs to the department while the other classes are on-site in the Marina area. 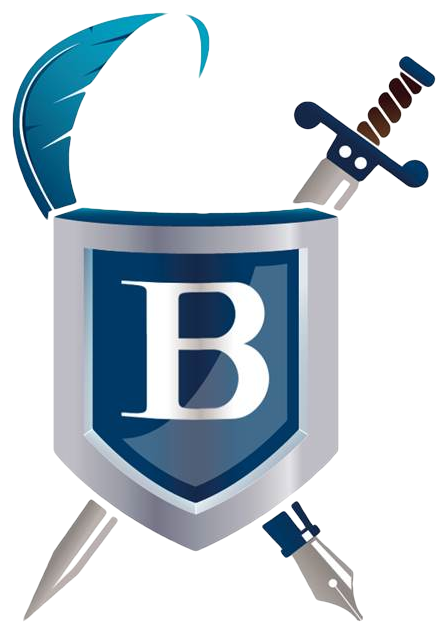 "The school offers classes free of charge throughout the year, and it can receive batches of 15 students a month. Classes are limited to one day a week, so students of all ages could still go to their own schools," she said. 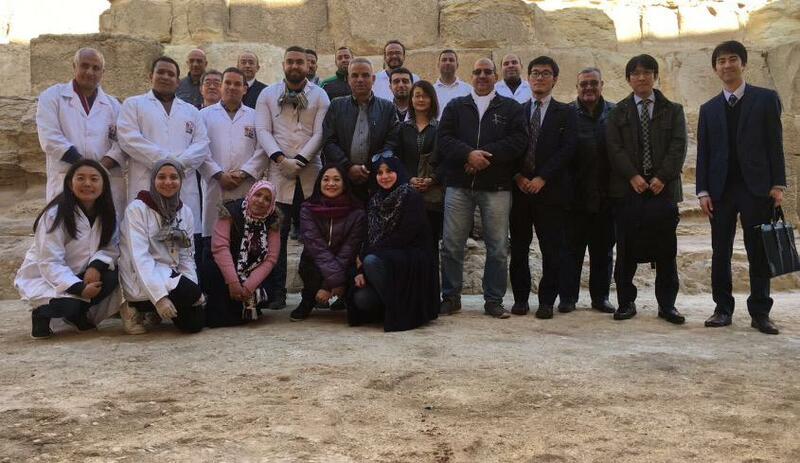 Abdel Khaliq added, "The program includes visiting and introducing students to archaeological areas and training students on tourism guidance according to their ages. Students are asked to explain the history of each piece to their classmates." The students can choose different topics according to their interest, one of which is about understanding how excavations work. The students in this group use archaeological models and sand toys for drilling and exploration. Students are briefed about how excavations require attention to detail, meticulousness and hard work. The second group, which Abdel Khaliq calls "the group of artistic creation," gets students to draw pictures of the artifacts, try to mummify a plaster statue or stage Pharaonic burial rituals. She added, "The Young Guide program was launched by the Ministry of Antiquities across the country and was successful. This is why I resorted to this program as a base for the activities of the school that I founded. There are several activities at the school that are carried out with the Young Guide program. The school is an inclusive body that is not limited to one activity but gets students involved in learning several aspects of archaeology at the same time." "At the end of the course, students are quizzed about ancient history and geography, and the winner gets a prize, while all students get souvenirs," she noted. Asked about the obstacles facing the school, Abdel Khaliq said, "I am currently covering the school expenses on my own because the Ministry of State for Antiquities is in debt [and unlikely to provide aid]. I would not have established the school, had I relied on their aid." Mohamed Sharif Ismail, a parent whose children joined the Young Archaeologist School, told Al-Monitor, "The idea of the school is different. I sent my children to participate in this school's activities as soon as I heard about it and learned how it contributes to raising student's archaeological awareness. When the course was over, my children asked me if they could go again — although children do not usually like archaeological sites. However, this school has adopted a good pedagogical approach that simplifies information about antiquities through activities and games." He added, "But the school needs funding. It is based on individual efforts and relies on modest capabilities, although it is important for students. The state must support it." Rafat El-Nabarawi, a former dean of the faculty of archaeology at Cairo University, told Al-Monitor, "The idea of the school is unique because it creates archaeological awareness among a generation that does not appreciate the value of monuments and gets bored when visiting archaeological sites. This school offers simplified information about mummification and funerary rituals to children through activities, thus making the matter easier to grasp." Nabarawi called on the Ministry of State for Antiquities to allocate a budget to support this school. He also called on archaeological faculties at various universities to provide technical support to the Young Archaeologist School by providing teachers capable of explaining the history of archaeology to the young students.